I usually send my brother cookies for his birthday ( These Superhero cookies were his. So were these Pac-Man and arcade cookies.) This year, everything is a bit simpler. 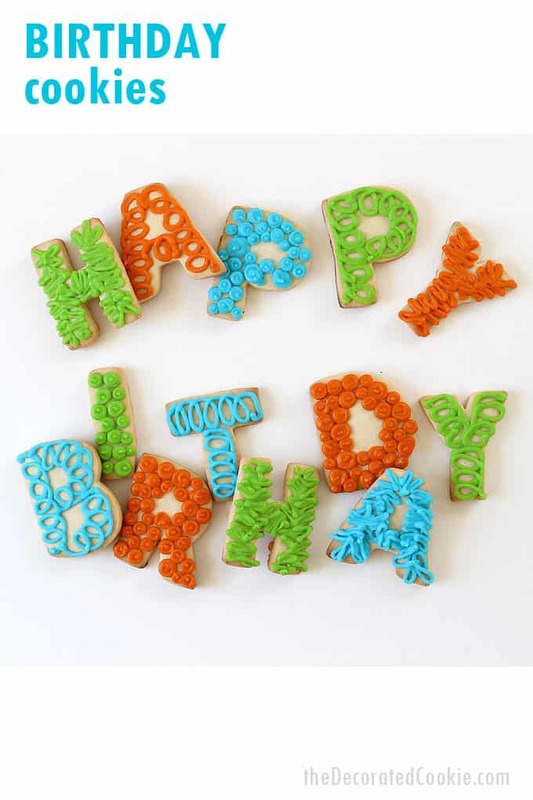 I’m just spelling it out with some happy birthday letter cookies. 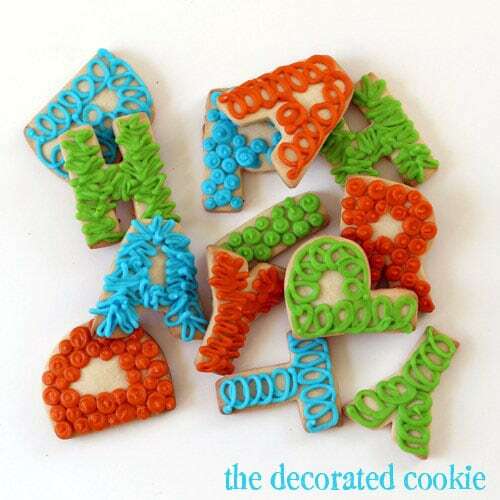 Happy birthday letter cookies, a decorated cookie gift idea. 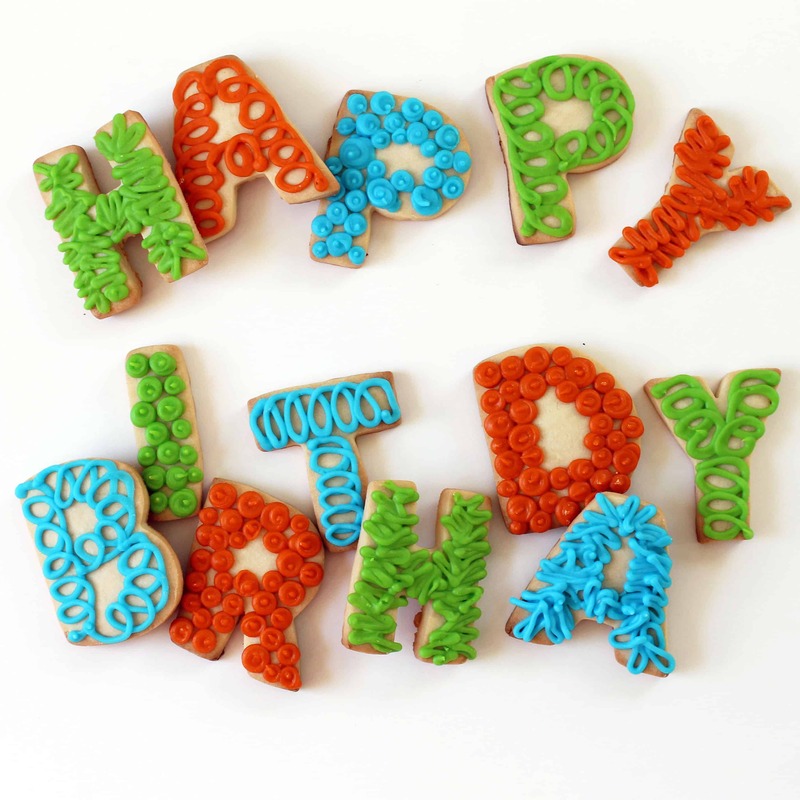 Happy birthday letter cookies, sure, but he’s gotta work for it. Ha ha ha ha ha. Assembly required. If you feel bad for him, I should mention the time that he littered the living room with pictures of spiders from his Wildlife postcard collection. As an arachnophobic, naturally, I ran out of the house. Then he locked me out. Need a tag to go with your cookies? Here is a free birthday gift tag printable. 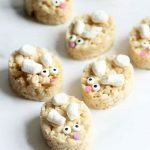 To make these, prepare cookie dough, chill, roll out, cut out letters and bake according to the recipe. Then prepare royal icing according to the recipe, divide and tint your preferred colors. Prepare disposable decorating bags with couplers and size “5” tips, fill with the icing and close with rubber bands. I just used one consistency of icing to keep things easy, a stiffer icing so you can see the lines. Then I just piped big dots, or swirls or messy lines. Let the cookies dry overnight before packaging. 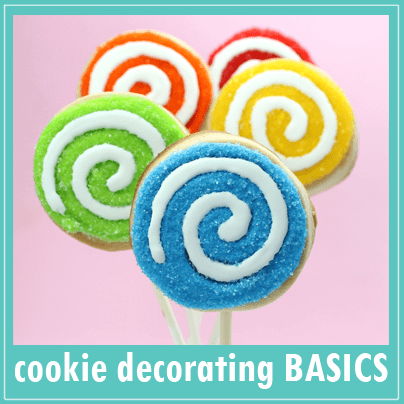 For general tips on cookie decorating, click HERE. 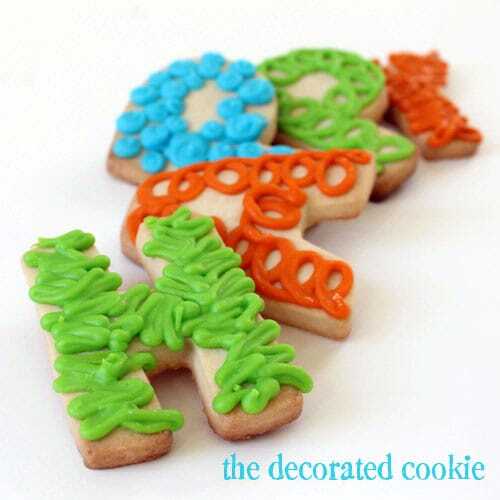 You can find alphabet cookie cutters HERE or other online shops. 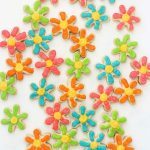 (For tips on buying cookie cutters, click HERE.) Find the decorating bags, tips and couplers at the craft store. 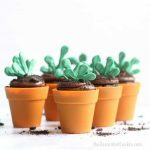 For food coloring, I suggest Americolor Soft Gel Pastes (Sky Blue, Orange and Electric Green used here), found online or in specialty stores. 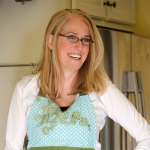 Click HERE for tips on where to buy. 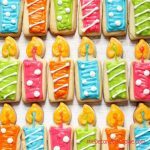 Need an easier birthday cookie idea? 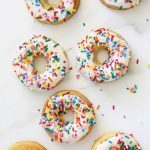 Try these three-ingredient cake mix cookies! 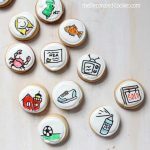 If you’re looking for decorated birthday cookies, check out the candle cookies or this glass of milk and cake cookies. Fast, easy and striking! 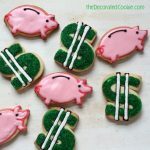 Definitely my kind of cookie! 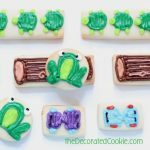 Great looking cookies and I bet they didn’t last long once your brother had them in hand. That is a really great birthday gift idea! 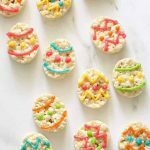 I will definitely try these cookies for my sister this year.